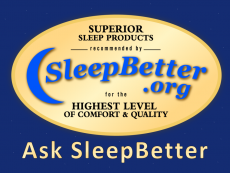 Today’s question is about sleep quality for seniors. The subject of seniors and sleep is a fascinating one, at least in part because everyone seems to have an opinion. The main misconception about sleep as you get old is that you don’t actually need as much as when you were younger. This is a myth. Experts believe this idea may have come about because seniors simply have a harder time sleeping and get used to not getting as much slumber. As we get older, aches and pains develop that make it hard to stay in one position for long periods of time. Additionally, seniors may spend less time in deep sleep, meaning they can be disturbed more easily than their younger counterparts. On top of all of that, more than half of older adults have a sleep disorder. Given all of these issues, it’s amazing that older people can sleep at all! But, if you’re a senior there are things you can do to improve your night’s sleep. Sleep routines are recommended for babies, as they provide a good way to signal to the child that it’s time to go to bed. It turns out that same technique works for adults. To establish your routine, start about an hour before bed and finish the little things that need to be done, such as light cleanup and brushing teeth. For the last half hour before bed, read a book, listen to calm music, or write in a journal to wind down. Pick activities that aren’t strenuous or likely to excite your brain. Avoid smartphones, tablet computers, and computers at all costs. Light emitted by device screens can tell your brain that it’s time to wake. On top of establishing a routine, a sleep environment check is always a good idea. Aches and pains associated with aging make appropriate and firm bedding that much more important. If your pillow is more than 18 months old, consider a replacement. 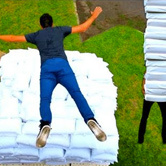 If your mattress is too soft, replace it or buy a mattress topper to firm it up. How Much Sleep DO Older People Need? Ask SleepBetter: Why Do I Dream So Much?